In the spirit of efforts by the Palestinians (and UNESCO) to erase and rewrite Jewish history, The Independent published an article legitimising an obscure author’s claim that King Solomon was actually an Egyptian Pharaoh, his gold mines were a myth and Jerusalem was never in fact the ancient Jewish capital. King Solomon’s gold mines, which the Bible says helped him store wealth amounting to more than £2.3 trillion, are a complete myth, historians believe. The biblical ruler is said to have accumulated 500 tons of pure gold from the mines, but experts now say the pot of wealth is unlikely to have ever existed. Historians claim the Old Testament King’s story has been misinterpreted and King Solomon was in fact an Egyptian Pharaoh. Ralph Ellis, a British historian and author, said finding his lost mines is “about as likely as taking a dip in the Fountain of Youth”. The expert spent 20 years researching the leader in a bid to uncover his hidden wealth, which he now believes never existed. “According to the Bible, King Solomon was staggeringly wealthy,” he said. “Yet successive generations of theologians and archaeologists have scoured the Holy Land looking for his capital city, palace, temple and wealth without any success. However, as the article eventually indicates, there’s only one “expert” who makes these claims. His name is Ralph Ellis, a fringe revisionist religious historian. 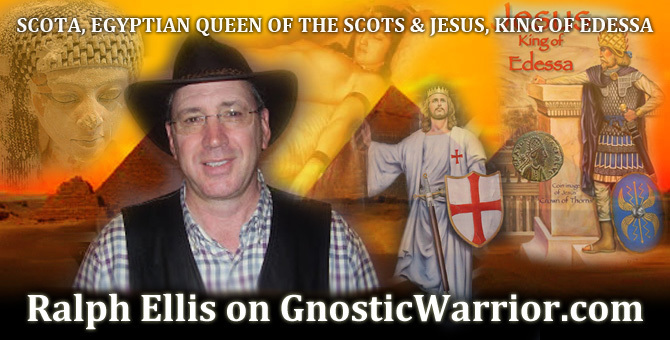 Ellis once wrote a book claiming Jesus Christ was actually King of Edessa, a theory mocked by a respected biblical scholar as “wacky” and “completely beyond the realms of scholarly debate”. Ellis’s claim in The Independent that “archaeologists have scoured the Holy Land” yet failed to find evidence of Solomon’s mines ignores widely reported archaeological discoveries in 2013 and 2017 demonstrating that the mines in question did indeed originate during the reign of King Solomon. His even more bizarre assertion that Jerusalem was never the ancient Jewish capital contradicts all the known historical and archaeological evidence that it was the capital for roughly 400 years, beginning around 1000 BCE when King David conquered the city, and of course ignores the First and Second Temples. The Indy journalist also uncritically cites Ellis’s claim that “King Solomon was in fact an Egyptian Pharaoh”. We’ve fisked a lot of false claims about Israel at the Indy, but the decision by editors to publish an article based entirely on the ahistorical, revisionist views of a one discredited, fringe “scholar” is truly baffling. I wonder why the Christians refer to Jerusalem as Royal David’s City. If asked, Ellis would probably tell you that they’re referring to David Beckham. When it comes to truth Ellis certainly knows how to bend it like Beckham. What’s even more baffling is that many British buy this crap as evidenced by the fact that they actually have an audience. A few weeks ago, I had a debate with Michael Farmer (remember him?) on the Jerusalem Post. When I cited how misinformed he is as he relies on media sources like The Guardian of Propaganda, The Independent of Truth, and Biased BS Confabulation, he called those “quality publications,” while deriding UK Media Watch and BBC Watch as functionaries of the Israeli government. I would have thought we have all seen enough from the Indy to hardly be baffled any more. There is a major change in the ways of the media that demands a greater degree of publication that is CONTROVERSIAL. The alternative social media overflows with drivel dressed up as “the shocking truth” and so forth. In order to compete the editorial staff of the Indy have to publish their own drivel that seemingly is more erudite and authoritative. The great danger is that we have entered an age in which truth and fiction are indistinguishable to the unsophisticated reader. The notion of Solomon the Pharaoh is a typical example of how to obfuscate historical evidence for malicious purpose. It’s very worrying as the Independent and the Guardian are, indeed, thought of as quality papers in the UK. Why they publish this nonsense is beyond me. However, there will be people who believe what they read. I guess that’s reason enough! It’s very worrying as the Independent and the Guardian are, indeed, thought of as quality papers in the UK. Well. ‘Used to be’. But, I suspect, not any more. 55 years ago, I used to read The Guardian and the Independent. I would now look strangely at anyone with a hard copy under his/her arm. The actual danger of The Guardian is the umbilical cord connecting it to The BBC. The veteran journalist accused BBC staff of making the left-wing Guardian newspaper their “bible” and political correctness “their creed”. Mr Buerk, who presents Radio 4’s Moral Maze, was reviewing the memoir of his former colleague, Peter Sissons, who also attacks the BBC for having “institutional bias”. I must congratulate you on reading the Independent 55 years ago. I read its first edition in 1986 only 31 years ago. I am devastated to learn that I missed out on 24 years! It took you 6 days to come up with that! This really is abysmally poor journalism from The Independent. Apart from the farcical claims made in the article by Ellis, a software engineer who calls himself a historian, which should have had the alarm bells ringing at The Independent. Even the quickest of background checks into Ellis clearly shows that he is not to be taken seriously. The claim in one of his first books that Jesus was the great grandson of Queen Cleopatra had me smiling, but when in a later book he claims that Jesus travelled from a place in Egypt to Camelot, that is when uncontrollable laughter stopped me reading any further. If Dan Brown and David Icke were to have a son between them, Ralph Ellis is what it would be like. Being a less-informed and talented version of Hard Left reporting than the Guardian is not a good place to be. Unfortunately, that’s where the Independent is now.